Two things make Rick Owens' designs stand out in an instant - cut and fabric. 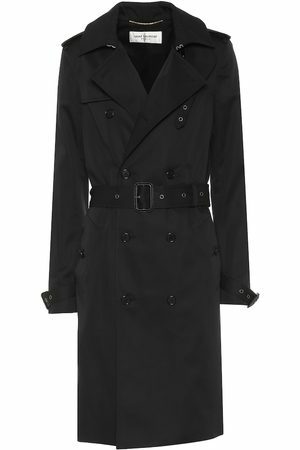 Demonstrating both, this trench coat is made from a coated linen-blend that creates the illusion of faux leather but with a lighter feel, and fastens with horn buttons. The traditionally smart double-breasted shape is pulled in by belt ties at the waist and has a drawstring hood to make it look more relaxed.